Shyloh Belnap: Easy Halloween Party Game Ideas! 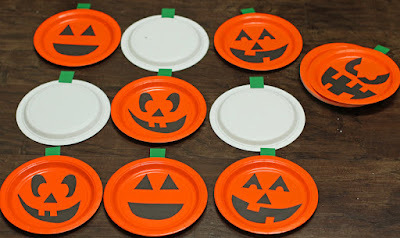 Easy Halloween Party Game Ideas! I love this time of year when we get to think about planning classroom parties. Here are a few fun (and easy) ideas you can use if you are a lucky room mom or just looking for a way to entertain your kids! 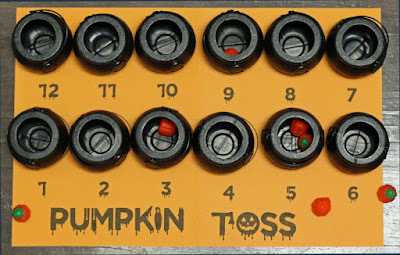 Make several sets of identical pumpkins and use them to play memory! 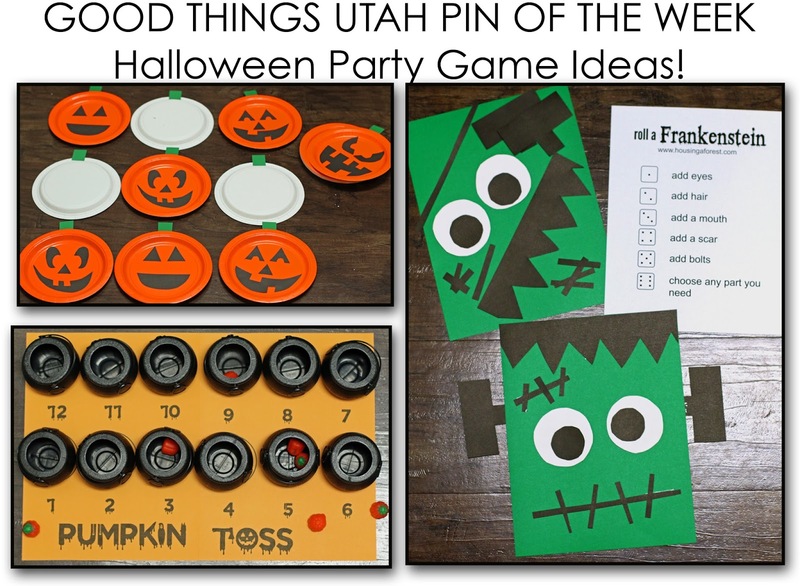 I thought if you would like to double this up as an art activity, you could have each child make their own set and then play the game together at a station for their party. Candy Pumpkins (buy double so you will have enough left after you snitch them all week long)! I made a game board because my kids are a bit older and, well.. it is important to have a clear winner. We are competitive that way lol. 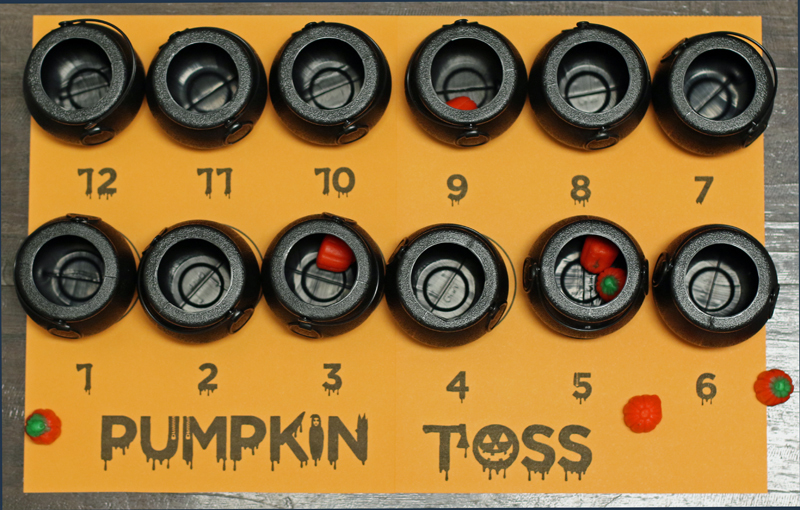 You can either score the game by whoever gets the most in the cauldron or use the game board and keep score! Pre-cut the Frankenstein pieces. Depending on the ages of your kids, you can do this ahead of time, or you can let them do this on their own. HERE is a template you can use for the pieces. Print out the printable on the original pin. 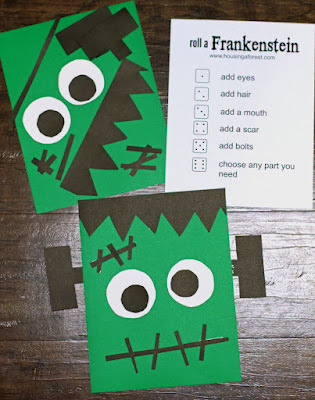 Roll the dice and see who can build their Frankenstein first. Once done, you can glue the Frankenstein together. 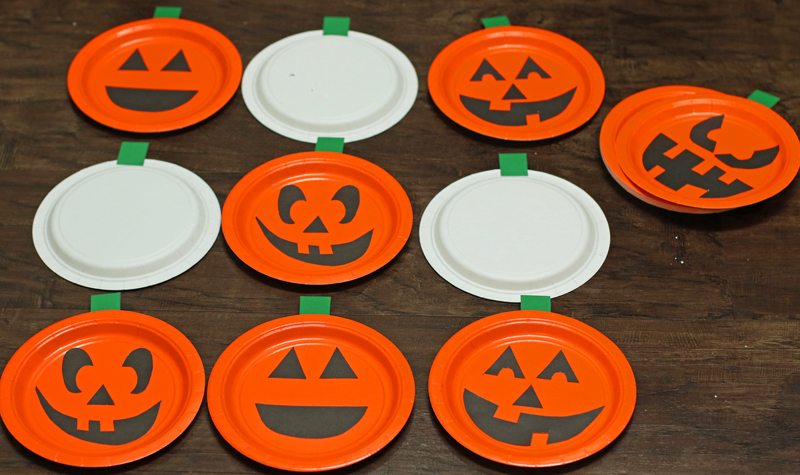 Hopefully, these ideas will help Halloween party planning be a little less scary! My little brothers were urging me to arrange some interesting games for them. I had already ran out of ideas and then came across your post and got some good ideas.